Are stay at home mothers a dying breed? – My thoughts on a page. Are stay at home mothers a dying breed? As a child I only knew one girl who lived in a house where both parents worked. If I were to be honest I thought she was so unlucky, akin to an orphan. She had a minder who came to her house, but to myself and my friends we just didn’t get it. I can even remember her falling and hurting herself. I insisted she come back to my house, because she had no mom! The mother I grew up with was typical. She may have had a life and career before her five children arrived, but we were uninterested. To us she was our Mom. No further explanation required. No further clarifying if she was a mother who stayed at home or not. She was everything we wanted. From a workload point of view, my mothers life was very different to mine. There was no dishwasher and no washing machine. Washing for a large family was done daily, and the clothesline always full. Once in a while there was a trip to the launderette to wash the larger bed linen. Nappies were cloth and a nappy bucket was a constant feature in her life for many years. There was no central heating, so fires were lit and needed to be cleaned out daily. Socially my mother enjoyed the company of other mothers on the road we lived on, but going out with my Dad was certainly not something they did every week. We had a telephone, but costs were closely watched, so it was not used to any great excess by my mother. It was rarely used by her for chatting with friends. By the time I was a mother things were already changing. We had a washing machine and in time a dishwasher. I happily embraced disposable nappies, whilst having small misgivings about how damaging they were to the environment. There were steam sterilizers and ready made baby food. Central heating was the norm and I had a tumble dryer. In time we also had two cars. However there was an even greater change happening. More and more women were choosing to work after having children. When I announced to friends that I wished to become a stay at home mother, I was asked a number of times “Why?”. Many could not understand it, and my husband even said he was slightly embarrassed saying I was not returning to work, as he said, it was as if people were judging him. Thinking it must be he that was pushing me into making such a decision. As a result I found myself as a new, young mother quite isolated. In the estate where I lived many of the houses were empty Monday to Friday, as both parents went out to work. I have been a SAHM now for over twenty years. In the past few years I have taken a part time job in the evenings but essentially Monday to Friday I am at home. What changes I have seen over the years. However I would not say that all change is good. I admit as a young mom I had high expectations of myself. I wanted to be the perfect mother (just like the one I had), and to raise perfect children. I believe this to be a natural ambition for all mothers. However I think life for mothers of young children today is so much more difficult. The role of a modern day SAHM is not as easily defined as it was in my mothers day. My mother was never asked “What do you do all day?”. Nor was she asked “Is your brain not dying staying at home with no one to talk to but children?”. In her day the term Mother was her title. She did not have to further explain what type of mother she was, a SAHM, or one who worked outside the home. A mother was a mother. She had a place in society and her role was valued. As the years have passed the definition of a mother in our mindset has changed, even if the definitive dictionary explanation has not. Added to that change is social media, celebrity parenting and a push for perfection. The old picture of “a mammy” is frowned upon. Now there is more pressure on mothers to continue to use their education and not “waste” it by staying at home minding a baby. There is a new perceived image of a stay at home mother. She is presented as slim, pretty, and fashionable, willing and able to cook like Nigella, and do all manner of arts and crafts. It may only be a perceived image, but for many mothers it is something they subconsciously aspire to, and the fact that almost all fall short makes for a fair amount of dissatisfaction. For those who do stay at home today life is different. Yes these women have two cars and all manner of gadgets to make life easier. But they have new pressures. As children we were not signed up to every conceivable after school activity, nor did we expect our mother to deliver us everywhere. Modern mothers are permanently on the road. When it was school holidays we holidayed in Ireland for two weeks at my grandmothers, nowadays many aspire to foreign holidays. For the rest of our school holidays it was up to us to find our own entertainment. The front door was opened and out we went. No pre arranged play dates, no mobile phones to track us. It was certainly never the case that we looked at my mother and asked “What are we going to do today?”. Modern mothers regularly feel it is within their role as mother to entertain their children. As more and more mothers return to the workforce there is a real feeling of isolation being a SAHM. Coupled with the feeling that they are not doing a job that is valued in society, many SAHM feel they need to justify what they do all day, and this has led to a division between mothers. Regularly, within the media and online, there are debates about the rights and wrongs of working or not. Debates which do nothing to make either mothers choice any easier to cope with. However modern mothers do have one great advantage. They have the internet. Google, parenting forums, facebook and twitter have helped to greatly reduce the feeling of isolation felt by those who are at home. As I contrast the life of a mother of young children at home today with mothers of the past I cannot help but wonder what the future holds for my three girls? With modern society changing so much, job sharing, stay at home Dads, and the desire for more women to stay working, I wonder what is the future for the stay at home mom? Are we witnessing the end of an era? But most importantly of all, is this change for the better? Guest blogger for one night only. Series of Letters. Letter 17. I’m a SAHM an I definitely feel like I get judged by others, people assume because I’m not working I’m a single parent when I’m not! My partner works full time, I get told oh well if you’re not having another baby soon sure you should be going to work, it will be good for you… I have loads of work to do thanks lol I’m not lucky enough to have a dishwasher and we only required our first dryer before christmas. Plenty to be done and when both girls are in school I see that as time to put my feet up and give myself a break 🙂 things were simpler back then and you had community but it’s different now people are quick to judge and I only know my neighbours to say hi to that’s it. The internet as you said definitely makes a difference.. 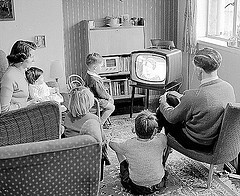 I began mother hood with no car, no dish washer or dryer and only two Irish channels on television! I struggled for years trying to justify “not working”. I remember if I was sitting down and someone came to the door I’d jump up so guilty because I’d not been doing something productive. I can tell you I am well over that now and I’m very relaxed in my role, but for newer mothers I do think it is very difficult. It is however a role I look back on with great pride. I hope you will too. Wonderful post–important food for thought. I enjoyed reading your perspective on the “evolution” of SAHM life. I can relate–at first I felt very isolated, and I too wonder what the future will be like. Looking forward to reading more of your blog! Welcome. Thanks for checking me out, I’ll be over to your too asap. I do think it’s a role that has evolved and as I wrote it did make me wonder what’s next? I’m back to work soon and it feels like most of the kids in my boy’s class are collected by their mams which makes me very sad. For the first time part of me is wishing that I could stay home, even though I love working (outside the home), I find being a SAHM much harder. It is the countdown to going back I’d say would be very difficult rather than the actual return. How could I have forgotten all those great blogs we read!! We’d be lost without them, your own included! I think more and more two incomes are needed to sustain a family. A lot of times it’s a necessity that both parents work. Yes i agree. I think though if you can stay at home, it is important to have choice. Neither is a better mother, they are just both mothers. I agree: when I was growing up it was definitely the norm for mothers to stay at home to raise the children. My own mother gave up work to raise me and my brother, and school friends’ mothers also stayed at home. Now it seems that it is largely a combination of financial and social pressures that steer mothers into believing that they ought to go back to work. I have noticed over the years an increasing degree of stigma attached to giving up work, as if the children were less important. Surely it must remain the decision of each mother whether to stay at home or return to work. Everybody’s circumstances are different and nobody deserves to be judged or criticised whatever they choose to do. I think it is the modern argument, that is probably media generated which helps to undermine the role of a stay at home mother.There is a pressure on woman to contribute to society financially and staying at home is sometimes seen as sponging on partners or the government. Many do feel judged or criticized no matter which they choose. Good answer to your hairdressers question. I do still think staying at home effects our self esteem, but I wonder in years to come what will be the norm? When I was growing up I would have thought a creche was a dreadful place to place children if you went to work, but now it is a most desirable place, and my attitude has changed completely. Parenting is changing, I just wonder what the future holds? That is an interesting point you made about the isolation of modern SAHMs. There is far less sense of community now and it impacts on every part of life. I chose to go back to work because I could not cope with being at home all the time. Perhaps if I had had a wider community network, with a street full of kids, I would have felt differently; who knows. But I am far happier, and have a good balance in my life (most of the time!) and I know my son is happy, which is the main thing. Happier? Who knows. We can none of us live two different paths at the same time! I have no doubt that you going back to work and becoming a happier person would have had a very positive effect on your son. So yes maybe he is happier. I’m glad you had choice. Yes, I am glad that I had a choice. And I have very flexible work, which helps. I am intrigued, though, if I would have felt differently with the ‘old’ community around. I’m a stay at home mum and it’s been the making of me. I don’t feel like I’ve been judged negatively. Most people think I’m incredibly lucky to be at home with the kids, and that’s the way I look at it. I was heartbroken when they started Montessori, but it definitely did us all good to have some time apart. I respect every woman is different and would never judge another mum for working a 40 hour week. If I had had a great career before I had, I don’t think I could have walked away from it. I think you are lucky Olivia, because I think many sahm do have poor self esteem, and find it difficult to value the work they do. It may actually be that you do not find you are being judged negatively because you are not overly sensitive to others opinion. I’m delighted to hear you are so content with your lot, because many do struggle especially in the early years. Well that’s how I feel now. It took time. I was insecure after they were born and rushed into finishing my degree when they were only a year old. I put myself under unnecessary pressure. If anyone were to judge me negatively now I’d have a few words for them. …Maybe the know that! Maybe that’s why they don’t say anything negative! Lol! Oops sorry * before I had the kids..
Ah thanks Emily. Great minds think alike. Funny you should bring this up, I was reading an article in the Guardian where a prominent pair of campaigners in Italy, a country with an estimated 5 million casalinghe (housewives), a moribund jobs market and a lingering patriarchal culture, this week threw their weight behind an eye-catching proposal they say would boost equality and fight domestic abuse: a salary for women working in the home. An interesting idea, I thought. The link isHERE if you are interested and if the link works which it probably won’t. Thanks J.D. your link worked. Very interesting idea. I think we are all a million miles away from it actually happening though. Actually I was listening to the radio yesterday and there was a piece on the traditional roles in a marriage. One of the questions was who looks after the money? In many of the older marriages the husband did. However quite a number of younger women commented that without financial independence women are not free. Who ever controls the money controls everything. I was not fortunate to be a SAHM for more than a few years. Our first came along and soon the second. I had to go back to work when the baby was just 3 months old. It absolutely broke my heart to leave my babies with other people to watch them 8 hours a day, 5 days a week. I cried at the sound of a child crying for their mommy while I wondered if my children were crying for me. The baby turned over first for the sitter, took her first attempts at crawling and then walking with her. It hurt. I missed so much of their lives and the molding of their lives was done by someone else. Regrets? Every day. And I will continue to regret it for the rest of my life! Be proud to be “just a Mom”. It’s a title of great importance and greater honor! Oh I’m so sorry you have regrets to this day. I’m sure your children had lovely childhoods. I know the two I minded wouldn’t have changed their childhood for the world. To have choice is so important. I think a parent at home is one of the most incredible gifts we can give our children. It makes me so sad when a mom wants to be home with her children, and cannot be. Yes it must be so difficult to leave if your heart is at home, equally as hard as if you feel trapped at home. As long as a mother is happy I think the children will be. I think so, and the spouse as well. I’m glad you didn’t have to stay at home. I too have great friends who would find it their worst nightmare to be at home all day. They are great mothers and just as much loved by their children as if they stayed at home. How nice to read a post on this topic, and the subsequent replies, that don’t pit SAHM’s against working mums! There seem to be so many debates on this that rapidly descend into mud slinging. It’s such a complicated choice and it gets depressing seeing how readily people judge each other for making a different choice from the one they made. It seems that what is a necessity for one woman is an indulgence for another sometimes. It has been great to read the different comments. It makes me wonder though if the battle between SAHM and those who work outside the home, is real or only generated by the slant put on an article in the media, so that comments are reactive. I try to no longer care what anyones opinion is on my life and how I live it. Although I am sensitive if someone thinks I’m lazy. Glad I have one supporter anyway! it is something i’ve thought about, in the past, and looking forward towards my daughters’ futures. as of now, i is a sahm, one in school, and one working. i know each one is doing what they think is best for their family and i’d never question them on those choices. when i was a young mother, i became a single mother early on, and had no choice but to work and go to school. i think something was lost in the equation and there were many times when it was very hard for me to leave. I have no doubt you did a great job rearing your little ones. It is interesting to read that they are all approaching motherhood in different ways. I think that sounds perfect. Each has choice, which is all you want. Your choices were limited but it sounds like you should be proud of your mothering, even if it was not as you might have chosen. As a stay-at-home mom with a good number of friends who are also stay-at-home moms, I dare to say it isn’t going to die out. Some of us have children who need more care and attention and others have spouses who travel for work (both cases for me), and we can’t figure out how we would manage with two spouses working full time. Some of us have or will go back to work part-time, and some I consider professional volunteers keeping our civil society alive. Each family needs to determine what works for them depending on their circumstances. I always assumed I would work, but our family, our professions/callings, and how we have been blessed carved a different path. Thank you for your reflection, blessings.